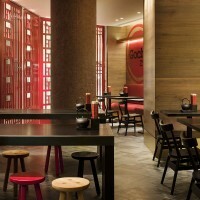 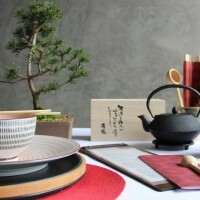 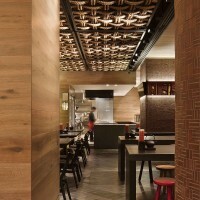 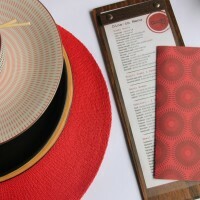 Mim Design have designed a restaurant named Gochi in Melbourne, Australia. 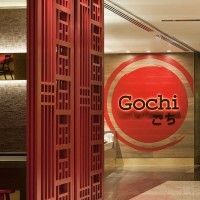 Gochi is a modern take on a traditional Japanese style restaurant. 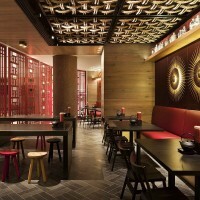 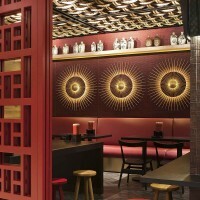 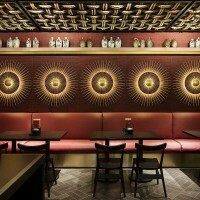 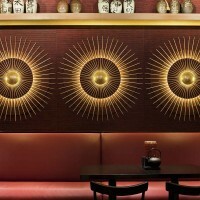 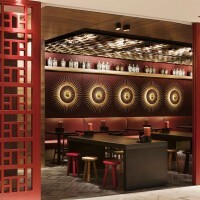 Items such as the chopstick were transformed into feature custom-designed lighting which scale the walls. 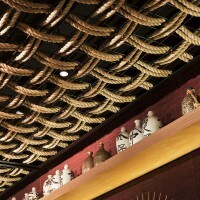 The ceiling structure made up of interwoven rope creates a textural element throughout. 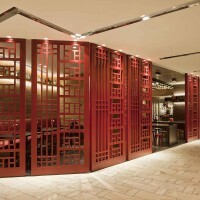 The screened façade provides transparency and a sense of mystery and intrigue to passers-by. 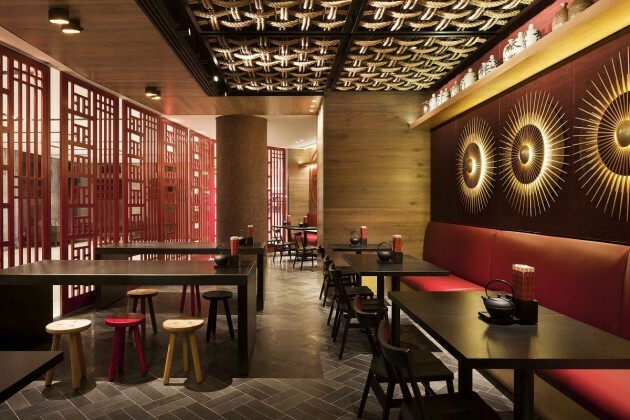 The colour palette of black, red and warm timbers resonate an ambience which is a nod to traditional Japanese interiors, adding warmth and comfort to the overall space.